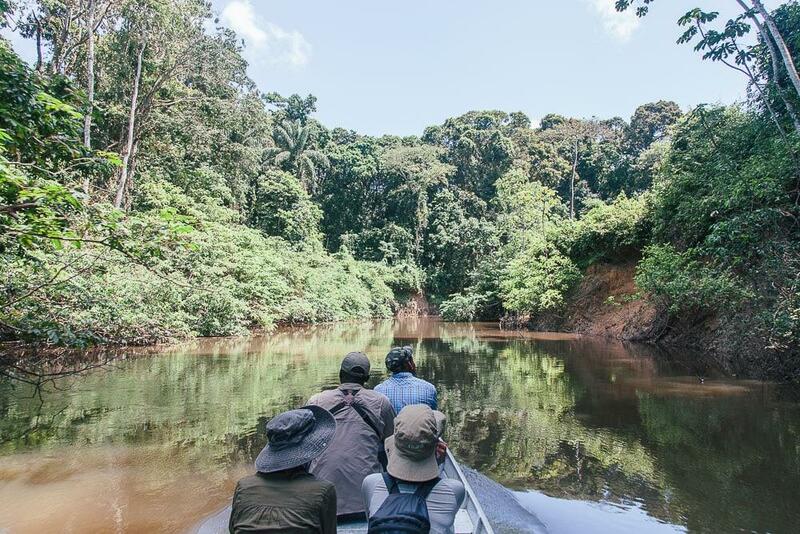 I returned from Guyana last week, and I’m still in a sort of dreamy haze from the trip. Like whenever anyone has asked me how my time visiting Guyana was, I just get this silly smile on my face. It was lovely. Except for the bug bites. I keep waking Dan up in the middle of the night informing him that I have to go cut off my limbs – why is it that bites always itch so much more at night?? I think I’m going to have to tape oven mitts to my hands tonight so that I can’t scratch. But back to Guyana. 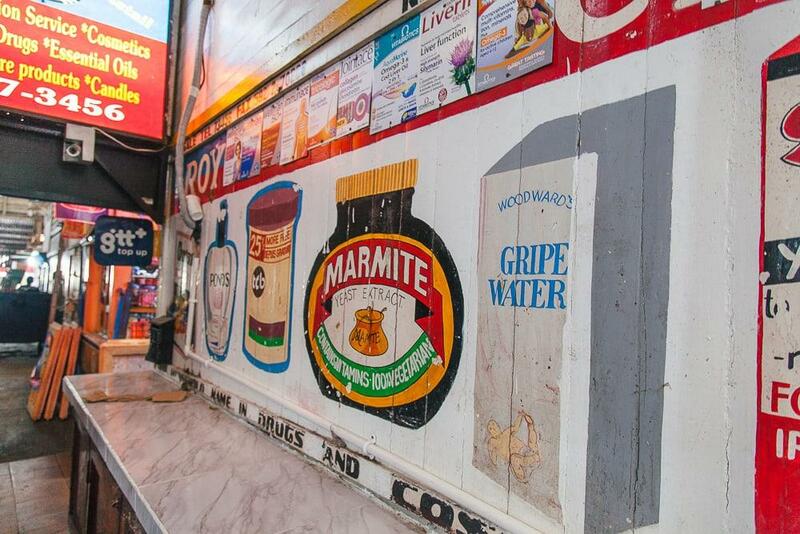 I knew very little about the country before visiting, especially because I didn’t actually organize my trip to Guyana, so I didn’t have to figure out where to go in Guyana myself. This trip was arranged by the Guyana Tourism Authority, who invited me along with four other bloggers to explore the country for ten days. And wow did they do a stellar job of putting our itinerary together. I mean, I haven’t seen all of the country so I guess I can’t say for sure that we went to all of the best places to visit in Guyana, but I’m guessing the tourism board knows what they’re doing. 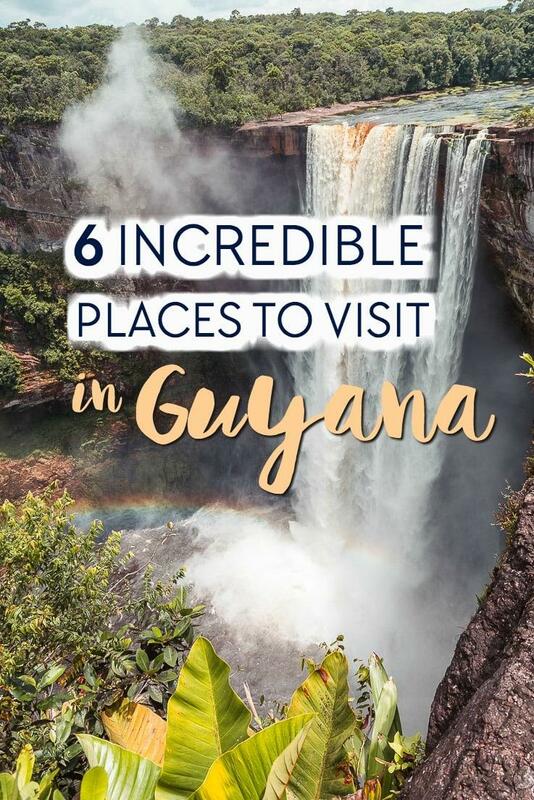 We went to some truly spectacular places, and if you’re wondering where to visit in Guyana, I can highly recommend all of these gems. 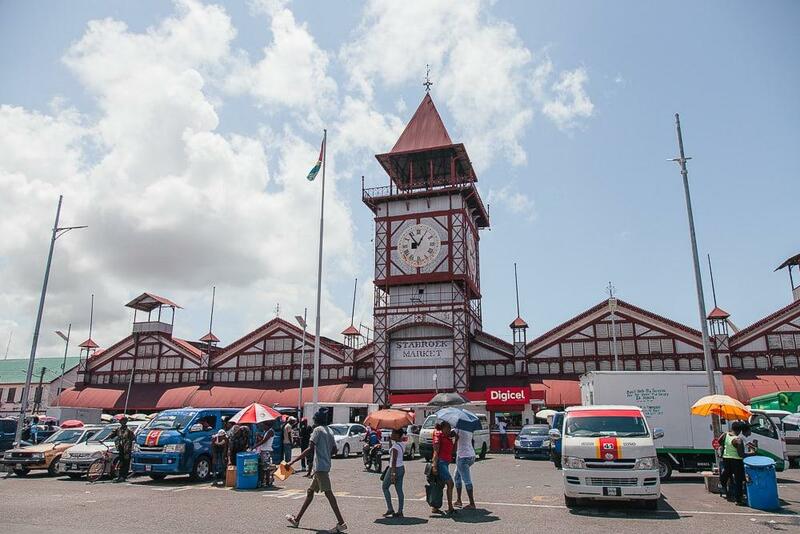 We started and finished our trip in Georgetown, Guyana’s capital city. 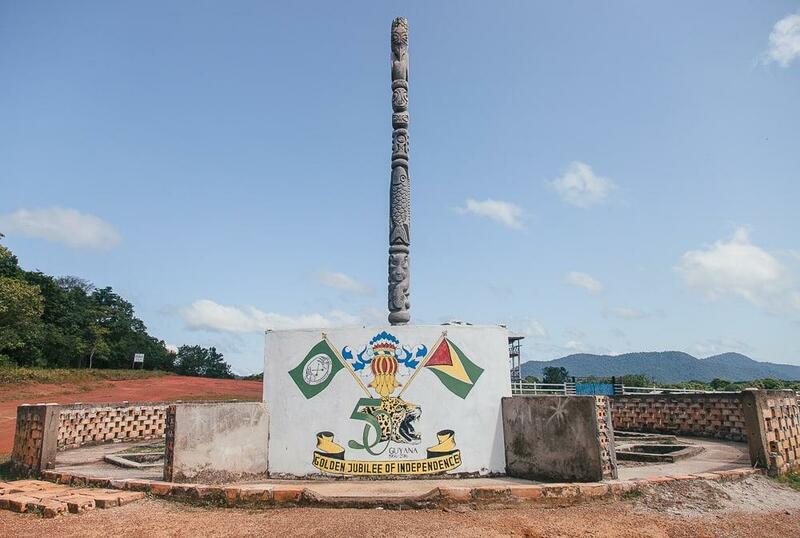 Guyana’s coast is quite different culturally from the interior, and definitely has a Caribbean vibe to it even though it’s technically on the Atlantic Ocean. And thanks to the British colonialist love for outsourcing labor first to black slaves and then to indentured servants from India and China, you’ll see a wide range of ethnicities here. 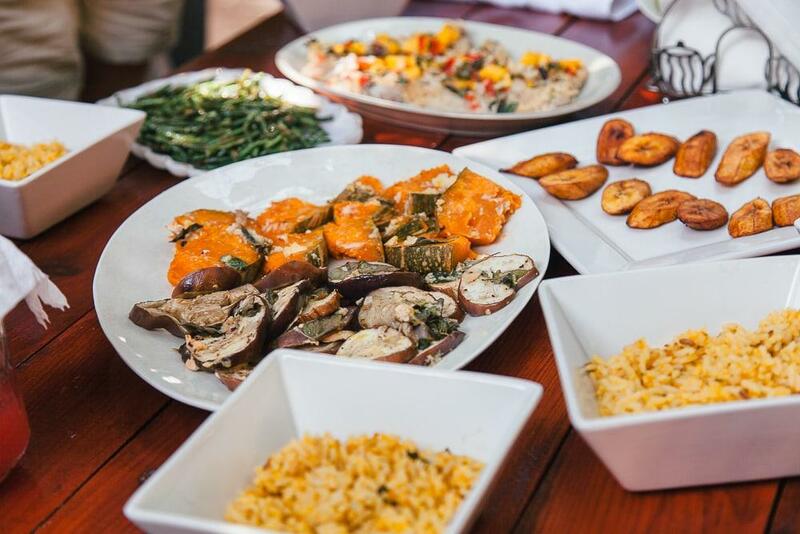 On our first day in Georgetown we took a tour of the Demerara rum distillery, which ended in a rum tasting that once again confirmed my inability to taste anything in alcohol except alcohol. But I imagine if you’re into rum the tour and tasting would have been great fun! 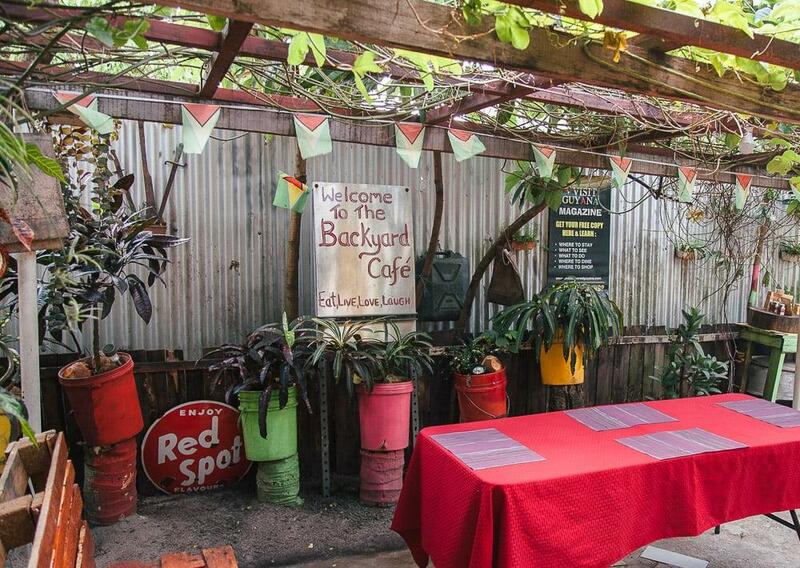 And then on our last day in Georgetown we had a meal at Backyard Café – except when I put it like that it sounds like we just stopped by a restaurant for some food, which was not the case at all. Instead we met up with the owner Delven at a local market, where we picked out the produce and fish for our meal. The market was a total throwback to the big food markets I used to shop at when I lived in Thailand, and it made me kind of nostalgic for Asia! And then in the afternoon we returned to the backyard of his home, which he has set up into a beautiful little café and bar. 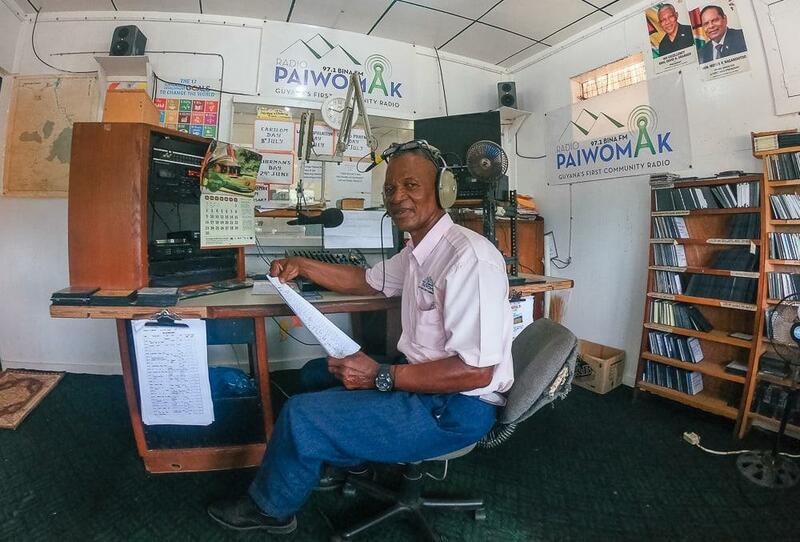 Not only was the food super delicious – probably the best meal I had in Guyana – but Delven was happy to answer all of our questions about Georgetown so it was a great way to get an inside peek at life here. 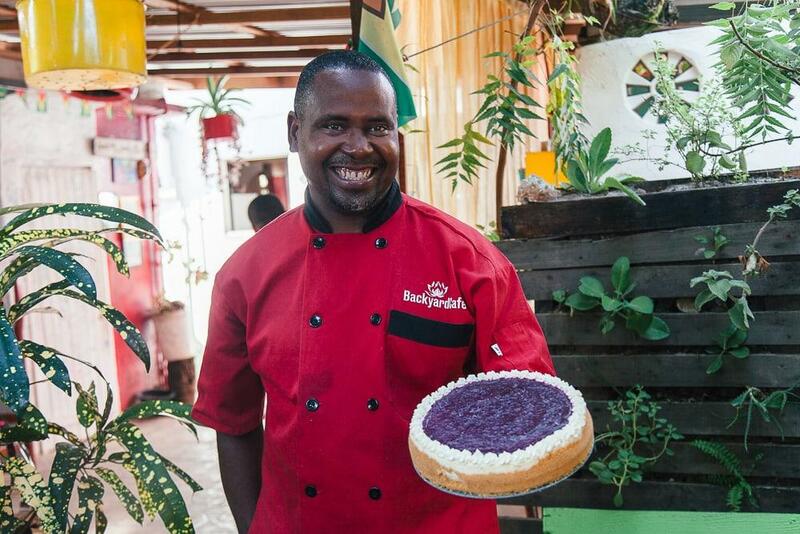 So if you’re ever in Georgetown I can highly recommend contacting Delven and setting up a meal at his cafe – you can arrange it all through his Facebook page. 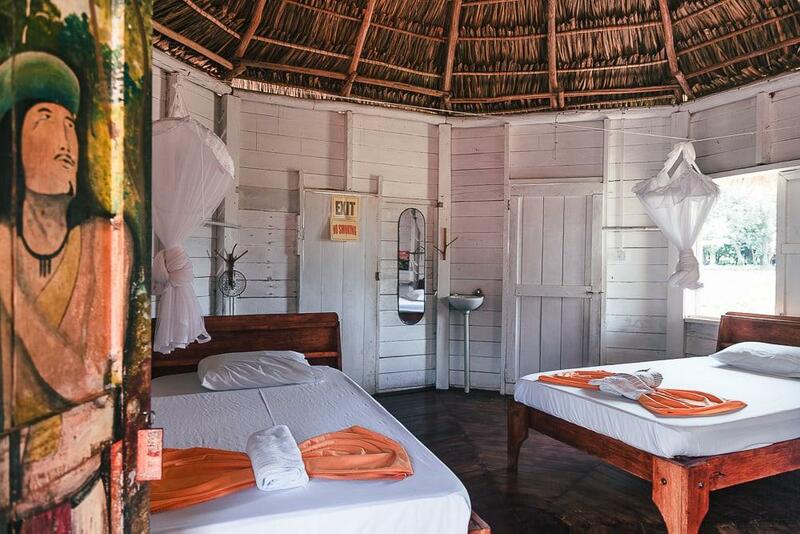 I’m not sure if I should play favorites but… Rewa Eco Lodge was my favorite place in Guyana. There, I said it. 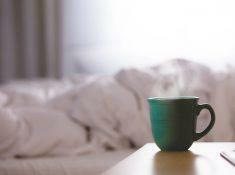 Aah just thinking about it makes me feel all warm and fuzzy! Sort of like the fuzzy spiders adorning the walls in my room there! 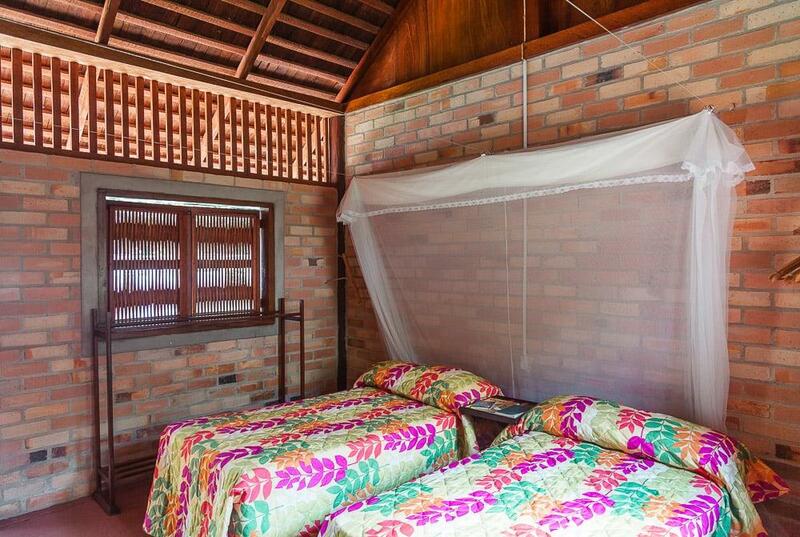 Yes guys, Rewa Lodge is an eco lodge, and with the way the bungalows are built with gaps between the walls and ceiling to allow airflow (something I hugely appreciated during those hot nights! ), a lot of little creatures can make their way into the rooms. 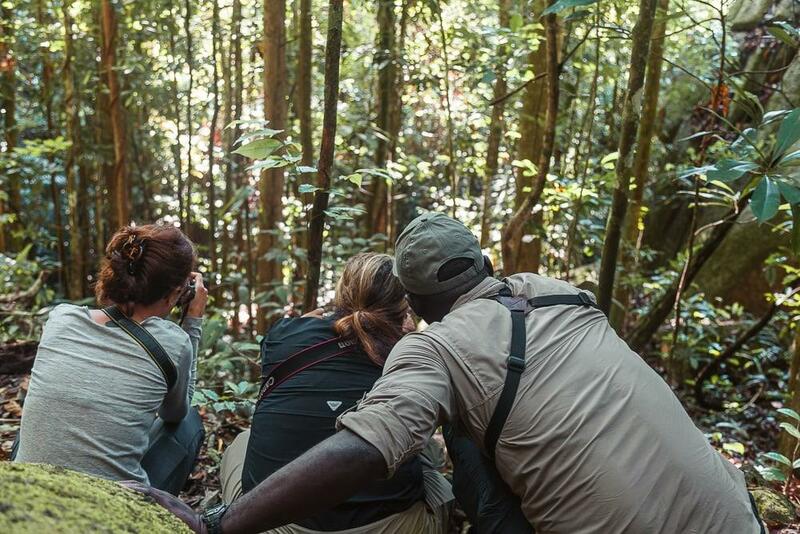 It’s funny thinking back to Rewa, because it was the start of our time in the rainforest and our introduction to living in harmony with the bugs. In other words, there were a lot of screams. Like, a lot of screams. 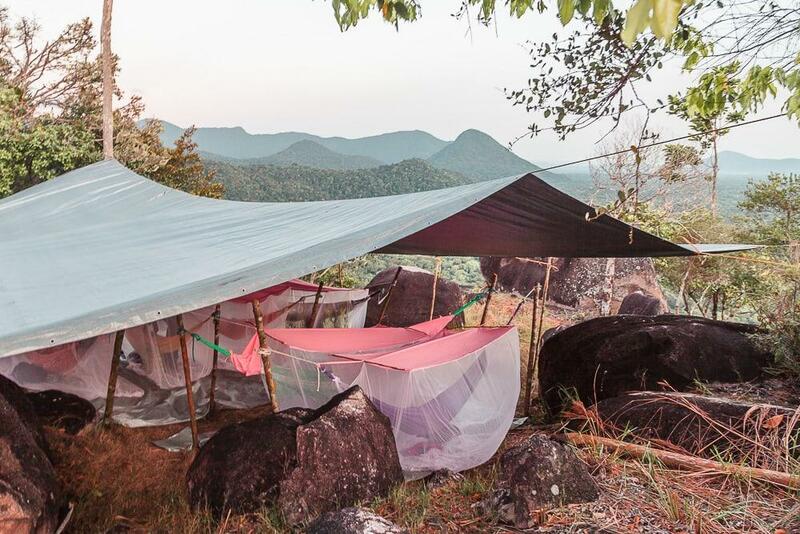 But, as we would learn over the course of our eight days in the rainforest, the bugs weren’t there to harm us, and we were safe tucked tightly into our mosquito nets. 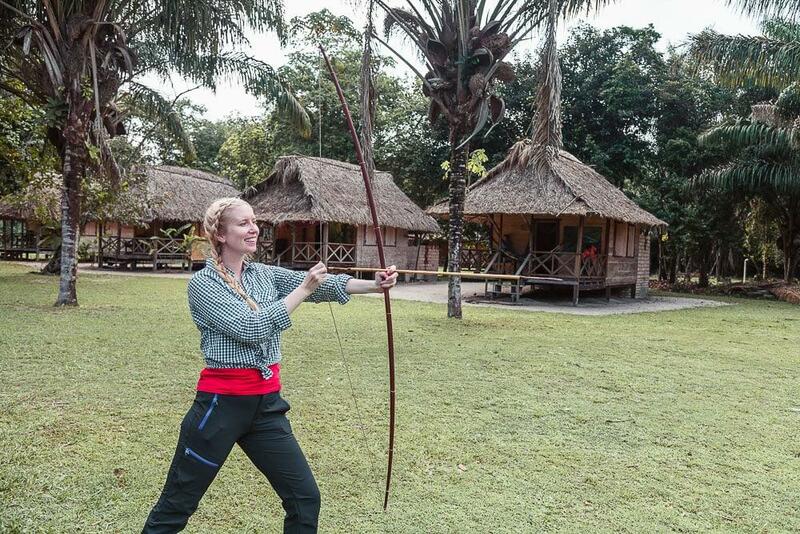 We were at Rewa for three days, filling our time fishing on the river, exploring the jungle, and learning how to use a bow and arrow. So basically we got to play like kids for three days and it was SO fun. In fact if we had returned to Georgetown after Rewa Lodge I already would have thought the trip well worth it. 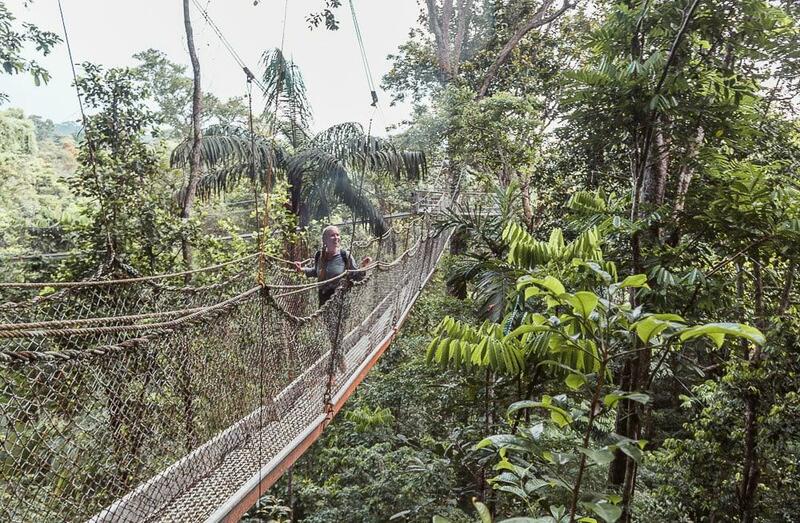 Not going to lie, I was more than a little nervous when I saw a mountain hike on our Guyana itinerary. I mean, I love mountain hikes, but not when it’s hot out! And then I read that we’d be camping in hammocks on top of the mountain and I nearly pulled out of the trip altogether. But I’m so glad I didn’t! Yes the hike was steep and I arrived at the top soaked in sweat, but it was also pretty short so we managed it in less than an hour. In fact I’d say the hike was actually way easier than I had anticipated, mostly because it was so short. And wow were we rewarded with some views at the top. As for sleeping in a hammock, I won’t say it was the best sleep I’ve ever had, but actually it was a pretty good sleep. I thought getting comfortable in a hammock would be impossible, but I feel like if I had another night or two practice I’d really get the hang of it. lol get it? 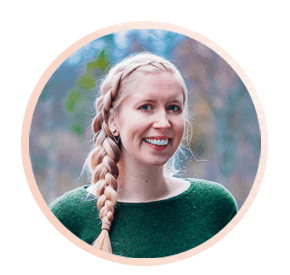 And again, while I had expected to be too freaked out by all the creatures wandering about at night to sleep, I felt quite safe tucked away in my mosquito net. I mean, jaguars definitely can’t rip through a mosquito net, right? Plus it was so cool to wake up on top of a mountain! 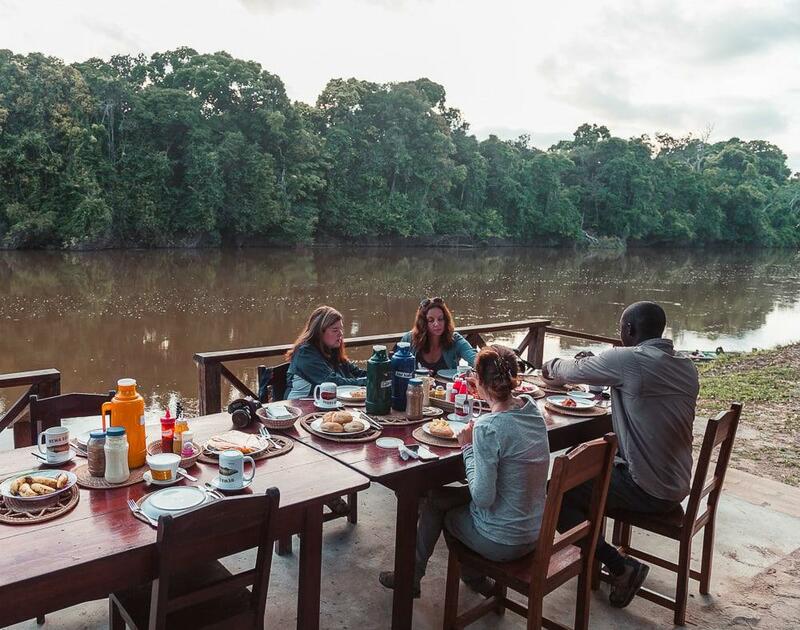 After returning from Awarmie Mountain and having a final breakfast at Rewa Lodge, we headed a couple of hours down the river and then drove for another forty minutes to ATTA Lodge & Canopy Walk. 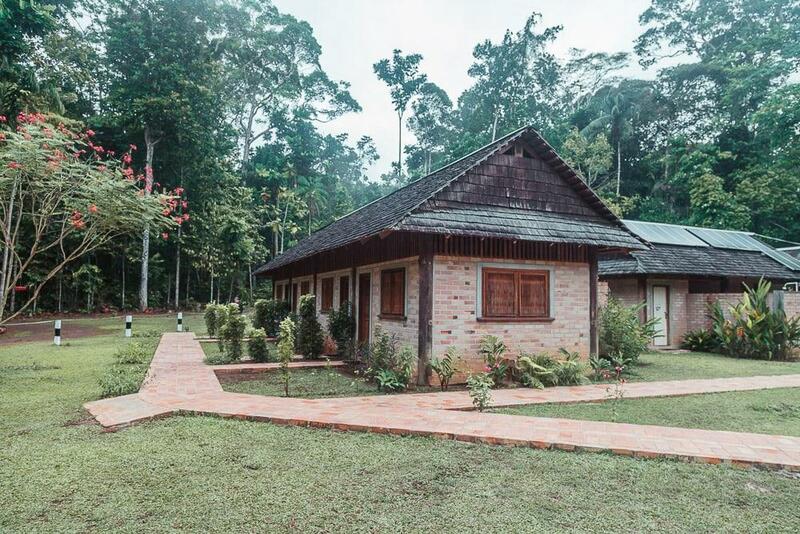 ATTA Lodge was definitely the fanciest feeling of all the lodges – like if I were to recommend somewhere for my parents to visit in Guyana, I would send them to ATTA Lodge. The room was clean and felt quite enclosed so I was less scared of bugs here, and I’d say ATTA had the best food of all the lodges (though Rewa’s was also very good). 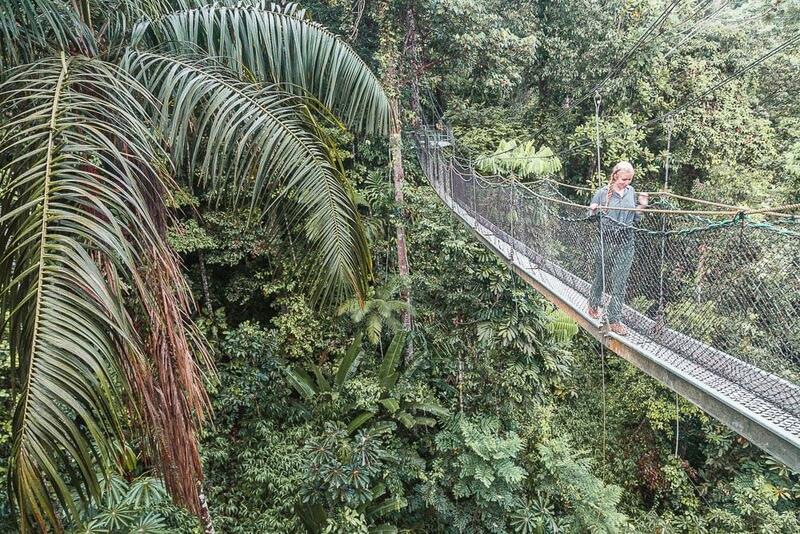 But the coolest thing about ATTA Lodge was their canopy walkway, where we could walk on hanging bridges through the rainforest canopy. 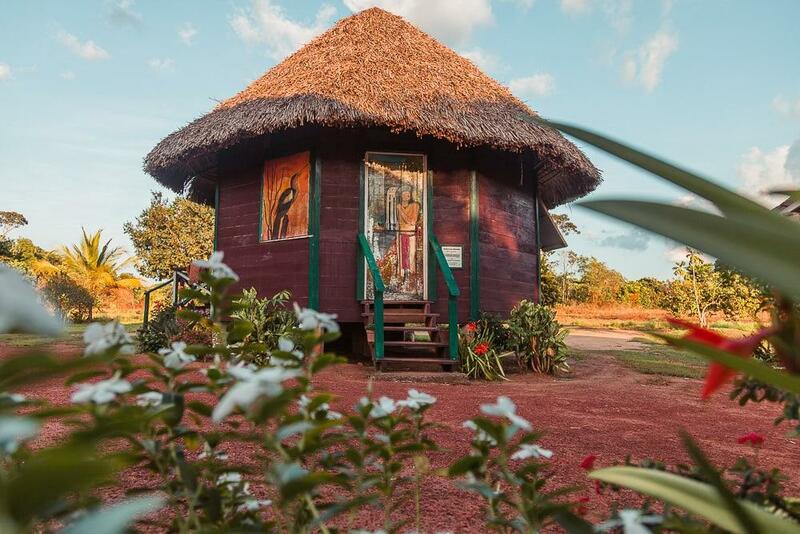 The final community-run eco lodge we stayed at was Surama Eco Lodge, which also happens to be the north Rupununi’s very first community-run eco lodge, established in 1998. The lodge is located in the prettiest setting, and I loved waking up here and heading up to the communal hang out area with its gorgeous views out over the savannah. We also got to spend a fair bit of time in Surama village, which has around 300 inhabitants. We stopped in at the school, spoke with the manager of the local radio station, and attended a performance by two Surama cultural groups. 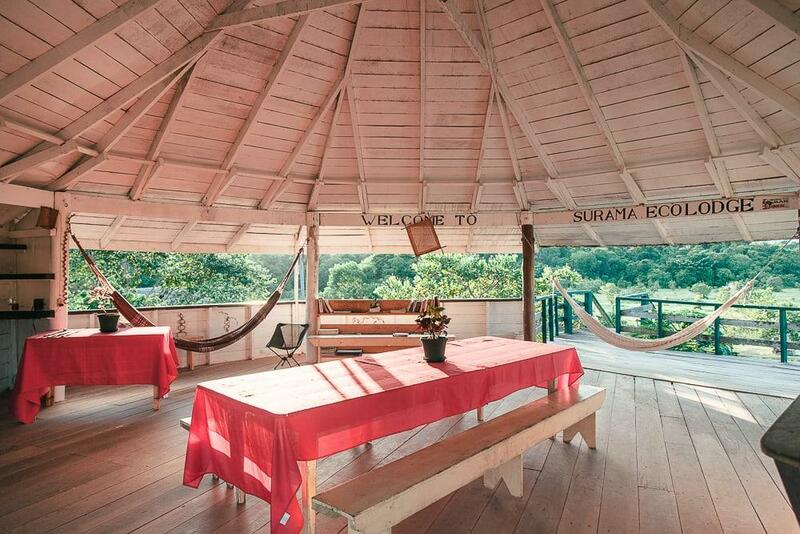 If you want to really get a feel for life in Amerindian communities in Guyana, Surama Eco Lodge is the perfect place to visit. 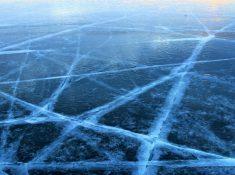 It’s also really close to the airstrip, so you won’t have much of an overland journey after flying in. 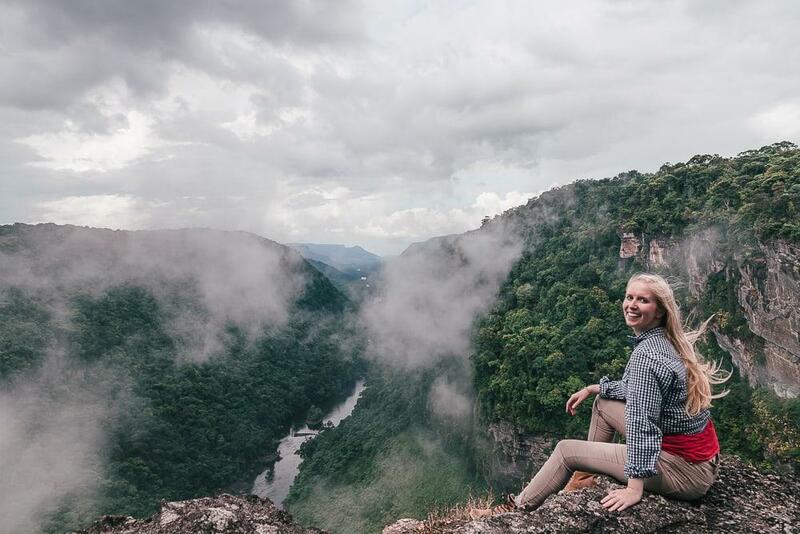 I would have been super sad about getting on our plane back to Georgetown on our last day in the Rupununi, but I was actually so excited because we were taking a detour to Kaieteur Falls, Guyana’s most famous tourist site! 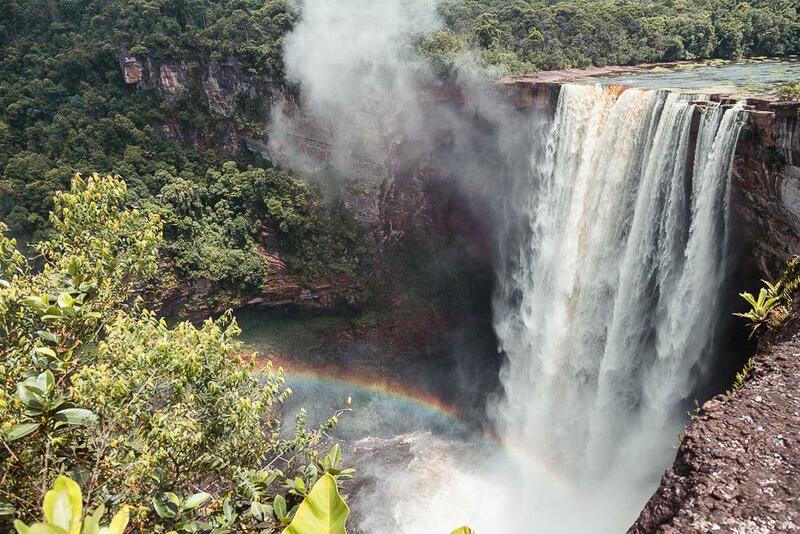 All the photos I had seen made Kaieteur Falls look epic, so I was preparing myself for disappointment, but it turned out that the falls are even more spectacular in real life. And that’s coming from a Norwegian who is usually not the least bit impressed by other countries’ waterfalls. On entering Kaieteur our pilot made sure to make two loops around the falls so that both sides of the plane would see them, and I remember thinking that just this glimpse of Kaieteur Falls from above had made the trip well worth it, so I didn’t even care what they would look like up close. Lol Kaieteur Falls was even better up close. One of the coolest things about Kaieteur Falls is that there are no railings or fences set up at any of the viewpoints. 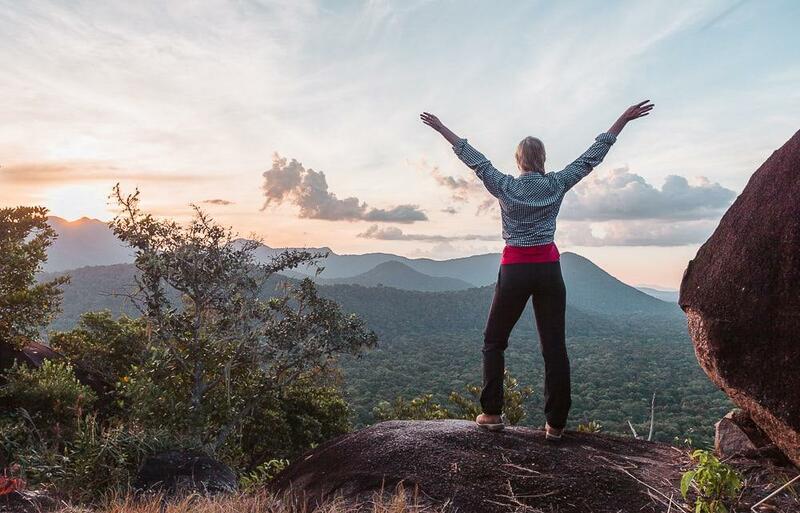 We visited three viewpoints, and all of them had left the area untouched in its original natural beauty. Oh and there were also no other tourists there. Just us! Kaieteur makes sure to stagger the groups visiting the waterfalls so that it’s just a few people with a guide, who watches closely over everyone and makes sure no one goes too close to the edge. It was also great visiting with someone who knew so much about the waterfall and its history, so I really hope they’re able to keep it like this. 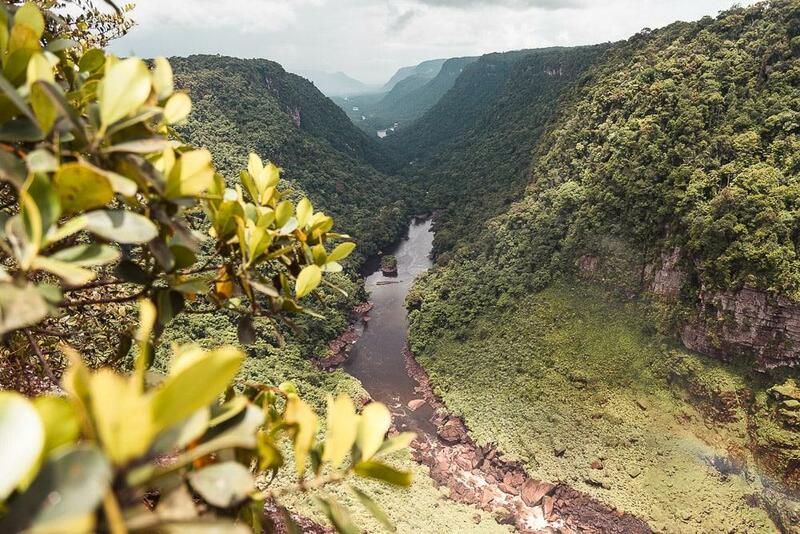 Most people visit Guyana’s interior with the help of the Guyana Tourism Authority or a tour guide, as things like flights and transportation have to be arranged well in advance, especially as there aren’t many vehicles in the Rupununi. While our trip was organized by the tourism authority, we were accompanied by Leon Moore, who runs his own tours. You can contact him through his Facebook page here to discuss what sort of Guyana itinerary would be right for you. I am a Guyanese entertainer and I’m super happy that you guys visited and are sharing your experiences. 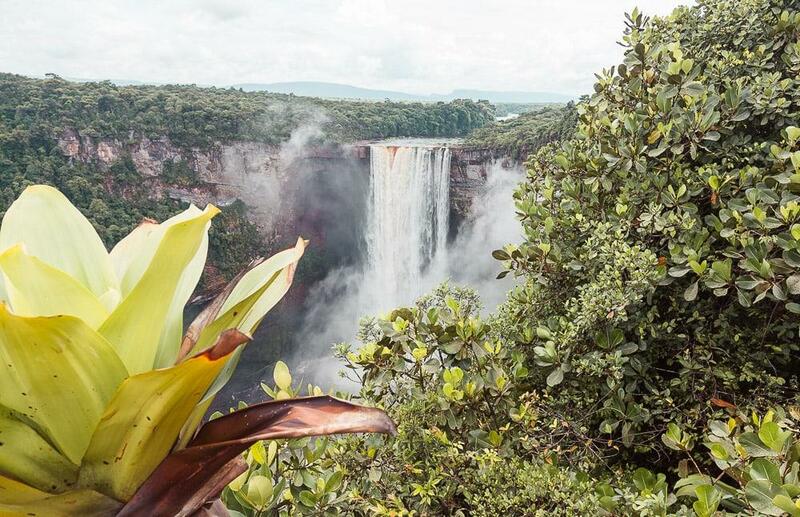 Guyana is a paradise, it encompasses the essence of the entire Caribbean. It is so vast that i myself, being born in Guyana and thought to have travelled to most places in Guyana am now learning of places that i didn’t know exist through your vlog. Thank you so much. You get to go to so many cool places! 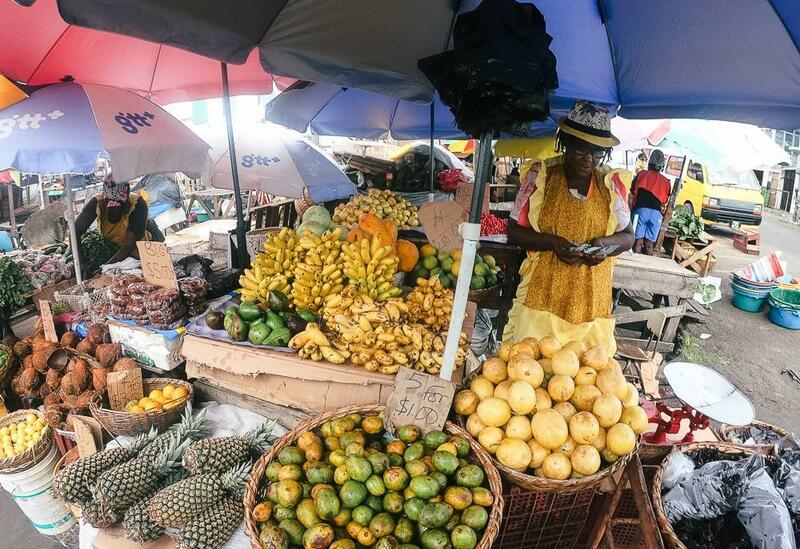 Guyana is somewhere that I’ve only heard of before, but seeing these pictures is amazing. Thanks for posting this! I felt so lucky to get to go, especially when I saw how amazing it is! I was going to comment on Delven and his pie (was it purple? What was on it) and the bow and arrow (brilliant), but then I got caught up in the views. Wow, those view around the waterfall! I really enjoyed reading about your trip to Guyana. 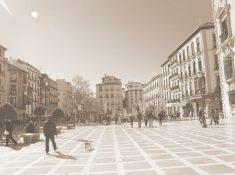 It brought back many fond memories of growing up there. It’s been 44 years since I left Georgetown and have never been back so I probably won’t recognize too much any more. 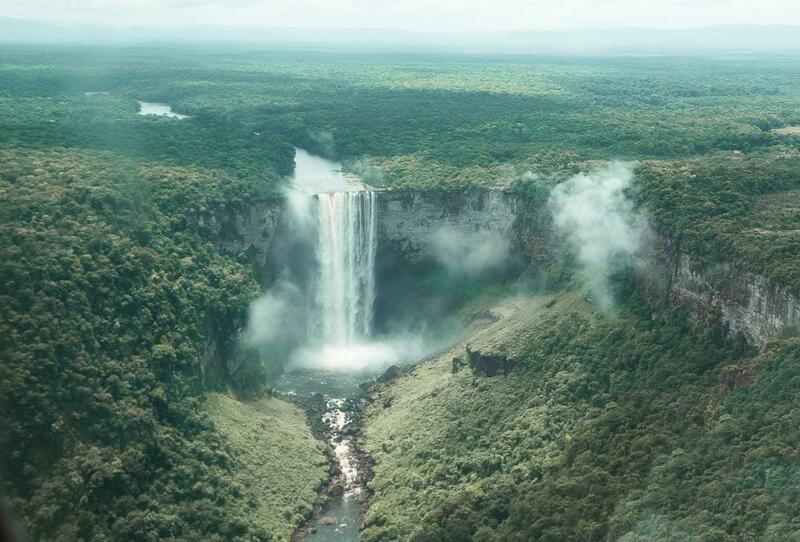 Although I lived there for 14 years of the first 19 years of my life, I never saw Kaiteur falls or the Rupununi. Being a teenager there was so good that nothing else mattered other than the social aspect of the West Indian culture and sense of humour of Guyanese people. The one thing I never miss is the bugs and they gave every imaginable kind you could find on this planet. I’ve been to Surama. Many years ago when they were still building the eco-lodge I was part of a program that helped support the build. So glad to see it was completed to well and that people are enjoying it. 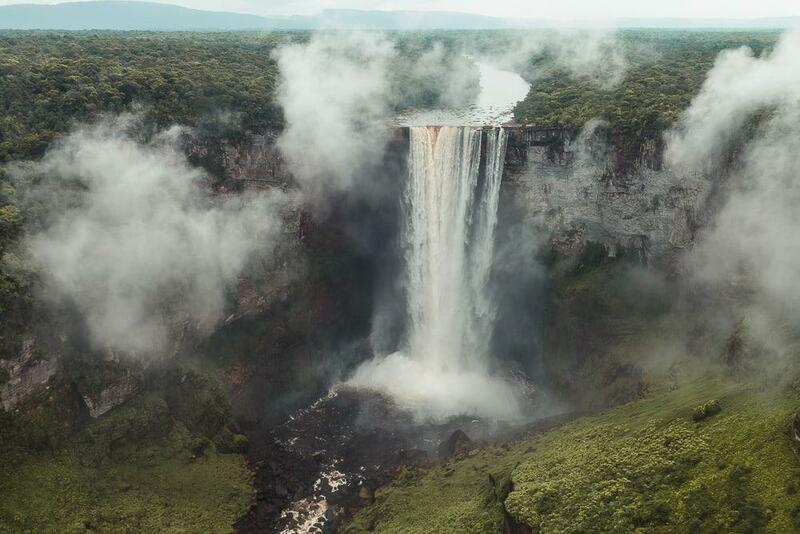 Guyana is stunning and so magical. Also that is by far the most beautiful waterfall I’ve ever seen!